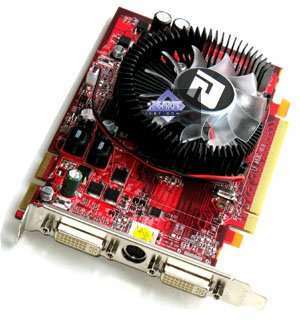 Like most people neither wear designer clothes nor live in villas, most users cannot afford expensive powerful graphics cards like GeForce 8800GTX or RADEON HD 3870 X2 and choose cheaper solutions instead. 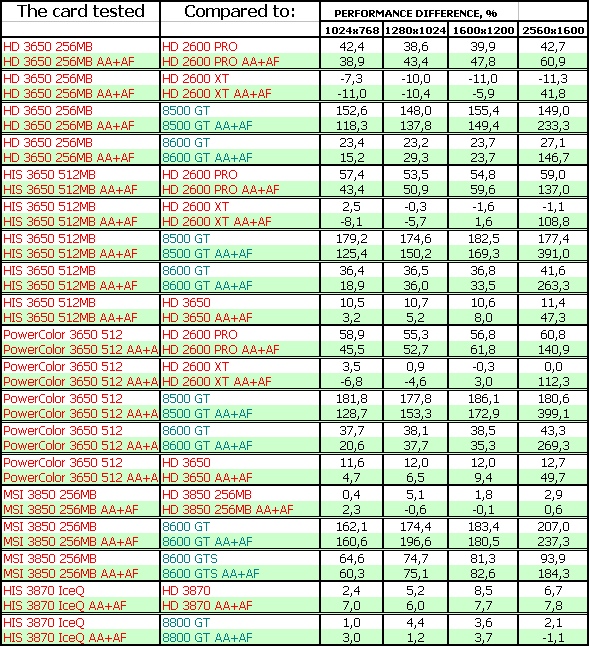 So, this time we are going to review three Mid-End graphics cards of the $100-$180 price range and a more expensive HD 3870. 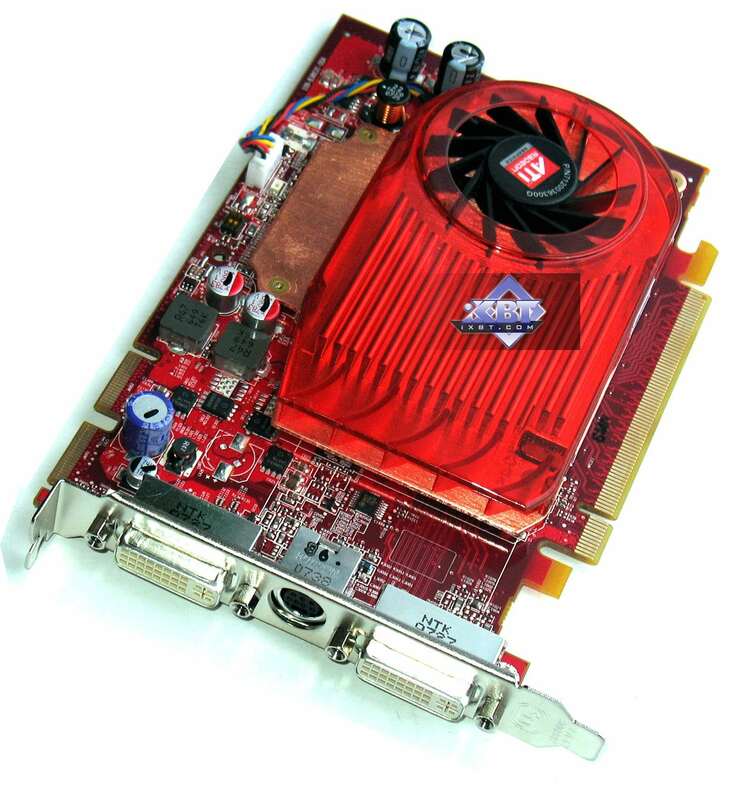 All our contenders today are based on AMD (ATI) RADEON GPUs. 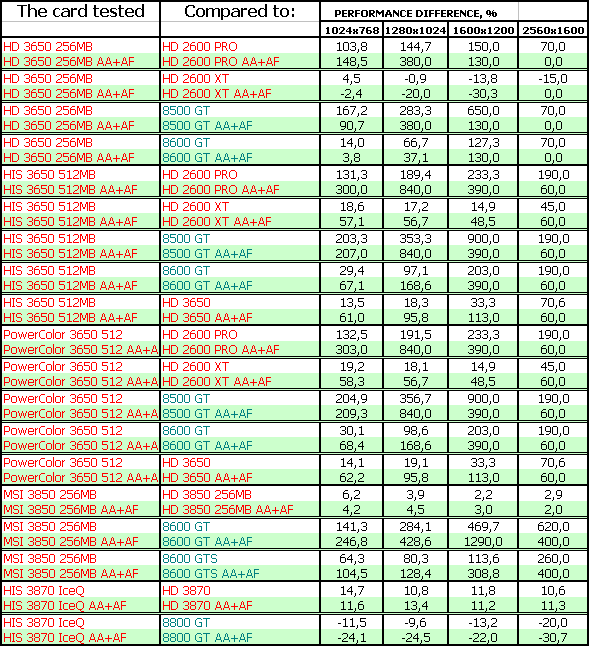 At the same time, our readers will get to know not only production-line HD 3850/3870 cards, but also the HD 3650. 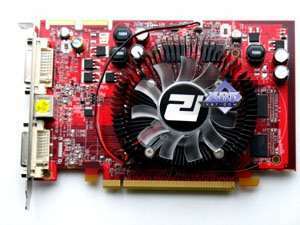 The latter card is essentially the RADEON 2600 PRO/XT. 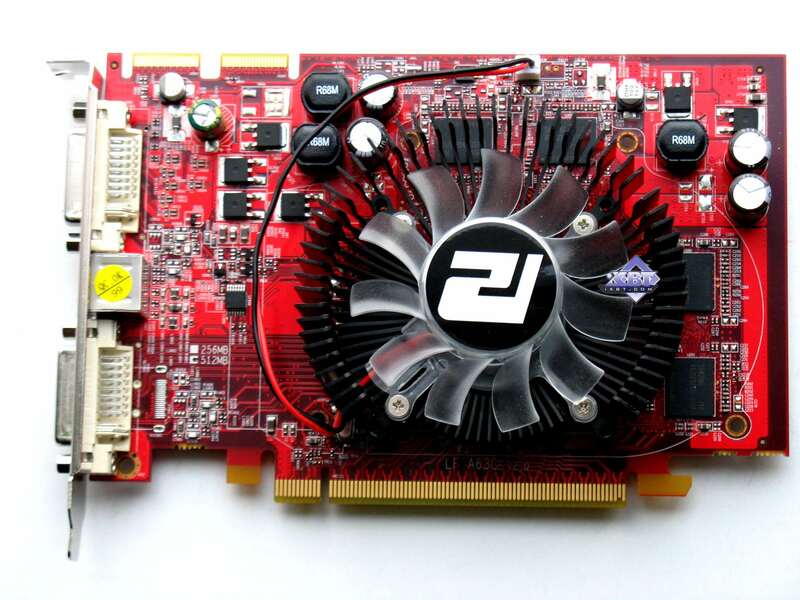 Everything is the same: architecture (120 streaming processors, 128-bit bus), similar design. 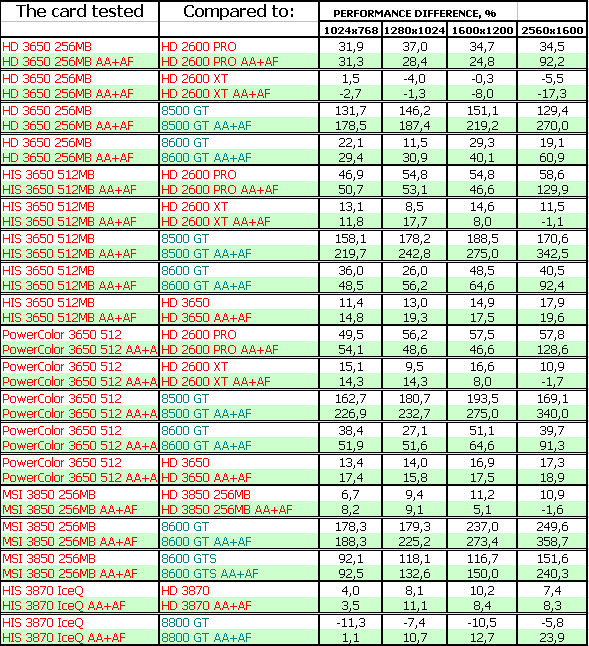 And its frequencies are in between those of the 2600 PRO and the 2600 XT. That is the HD 3650 is actually a hybrid of the 2600 PRO and the 2600 XT. Why launch this product and give it a new name? The fact is, the RV630 core, used in the RADEON 2600 cards, is manufactured by the 65-nm fabrication process. 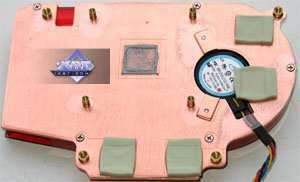 AMD wanted to squeeze maximum performance from this product, so it operated at very high frequencies and dissipated much heat. 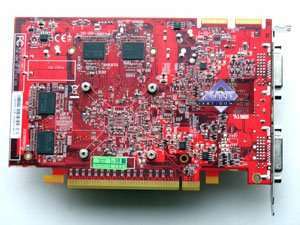 Having manufactured the RV635-based counterpart by the 55-nm fabrication process, AMD kills two birds with one stone: it reduces manufacturing costs of such GPUs and heat dissipation, preserving the operating frequency in between the 2600 PRO (600 MHz) and the 2600 XT (800 MHz), at about 725 MHz. 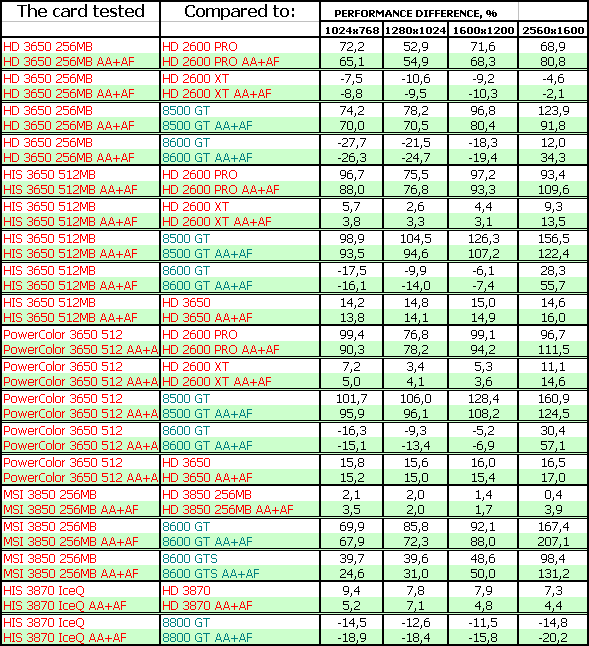 If these are only domestic transformations in AMD that have to do with their requirements and needs, why do they offer the old product as a new card? Because no marketing department will miss an opportunity to advertise an old product, if there is an excuse—an updated GPU. We've already seen such methods. So users shouldn't be surprised. 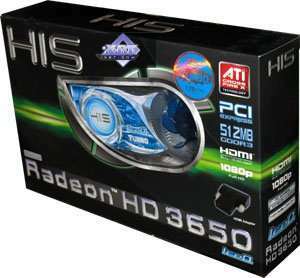 Thus, all our readers must understand that the RADEON 3650 is a cross between the RADEON 2600 PRO and the RADEON 2600 XT in its performance. There are no other differences. We'll test this assumption below. 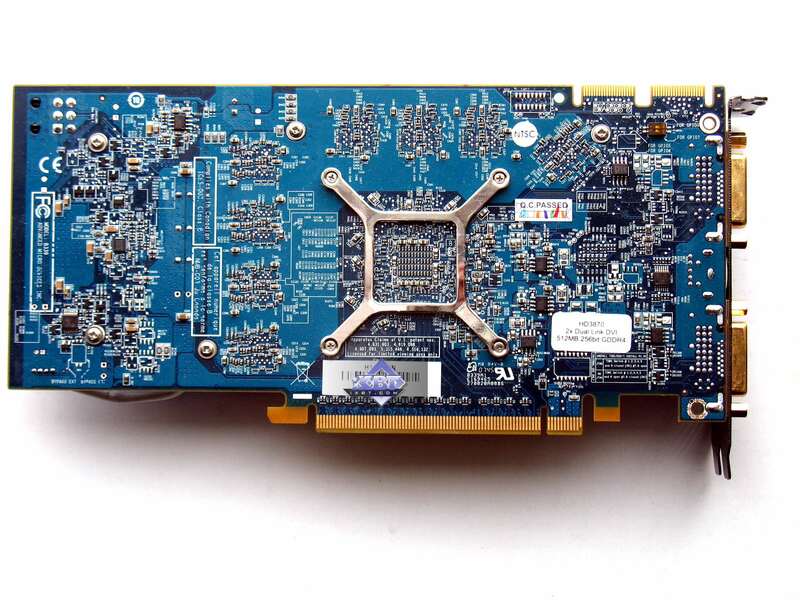 Dimensions: 180x100x32 mm (the last figure is maximum thickness of the graphics card). 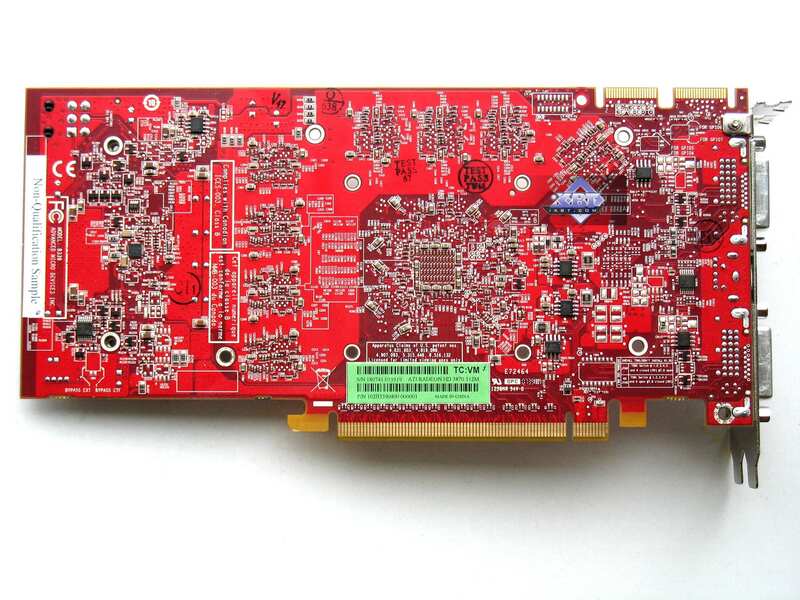 Dimensions: 220x100x32 mm (the last figure is maximum thickness of the graphics card). 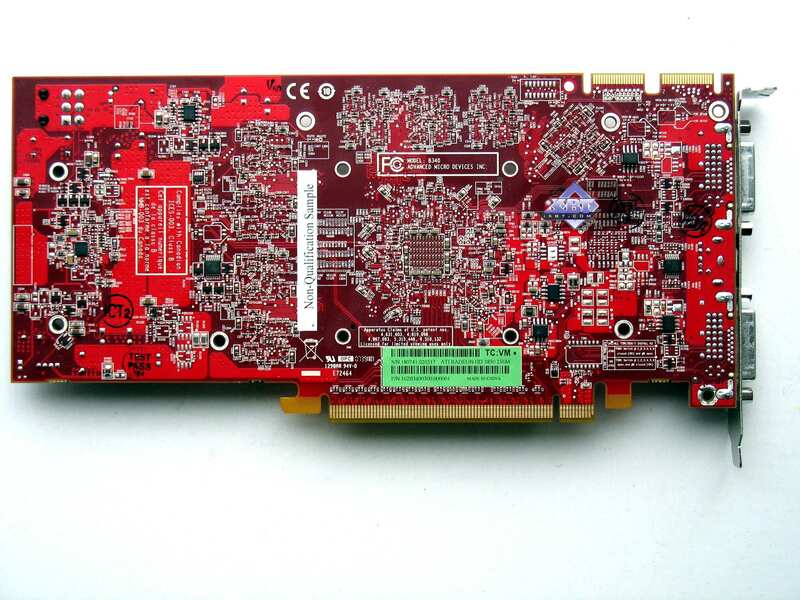 Dimensions: 180x100x15 mm (the last figure is maximum thickness of the graphics card). 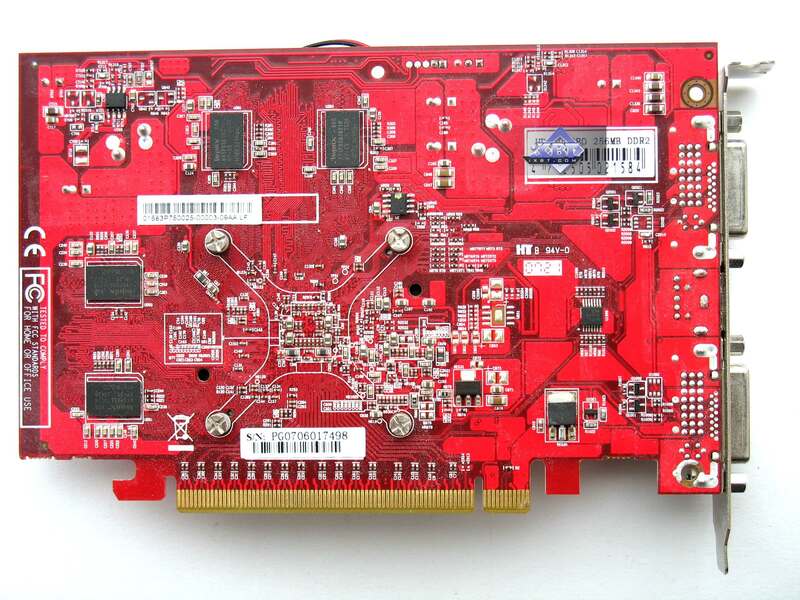 The graphics card has 512 MB of GDDR3 SDRAM allocated in eight chips on the front and back sides of the PCB. 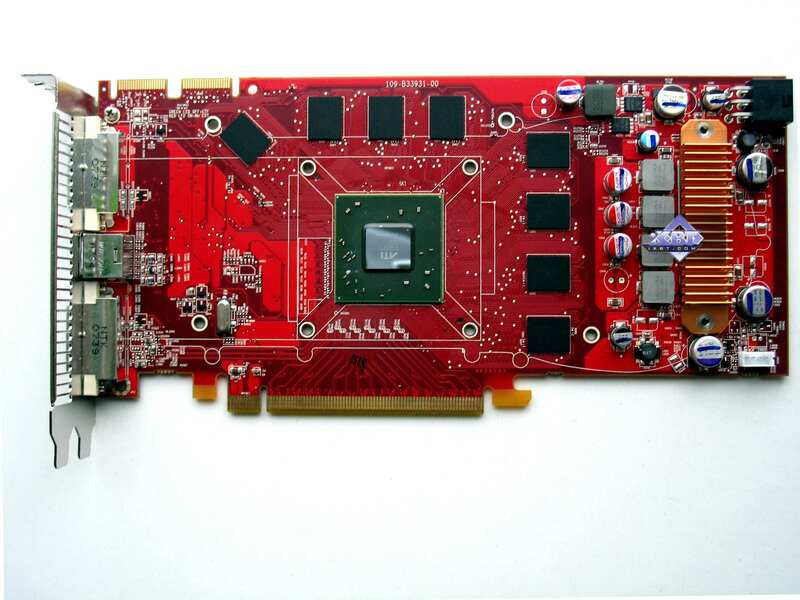 Each card has 256 MB of GDDR3 SDRAM memory allocated in eight (MSI RADEON HD 3850 OC 256MB PCI-E) and four (ATI RADEON HD 3650 256MB PCI-E) chips on the front side of the PCB. 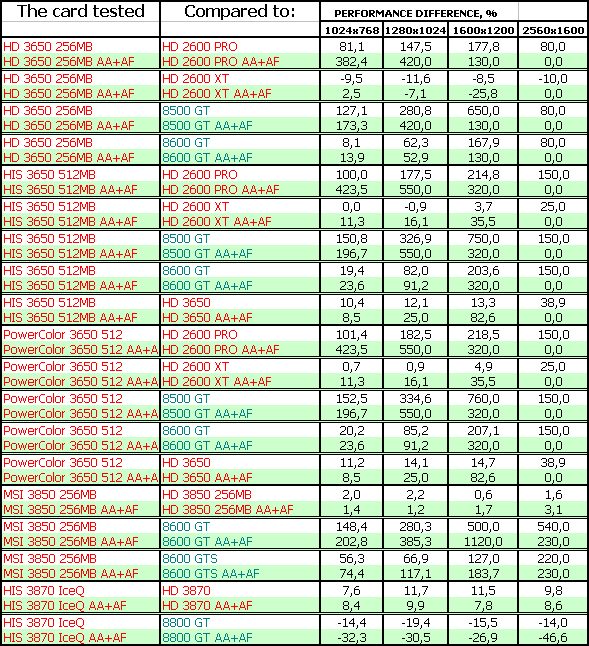 The 3870 cards from HIS and the 3850 cards from MSI are copies of the reference design, we have nothing to add here. We've already examined such cards in our baseline review. These products differ from the reference design only in frequencies and in the cooling system installed on HIS cards. 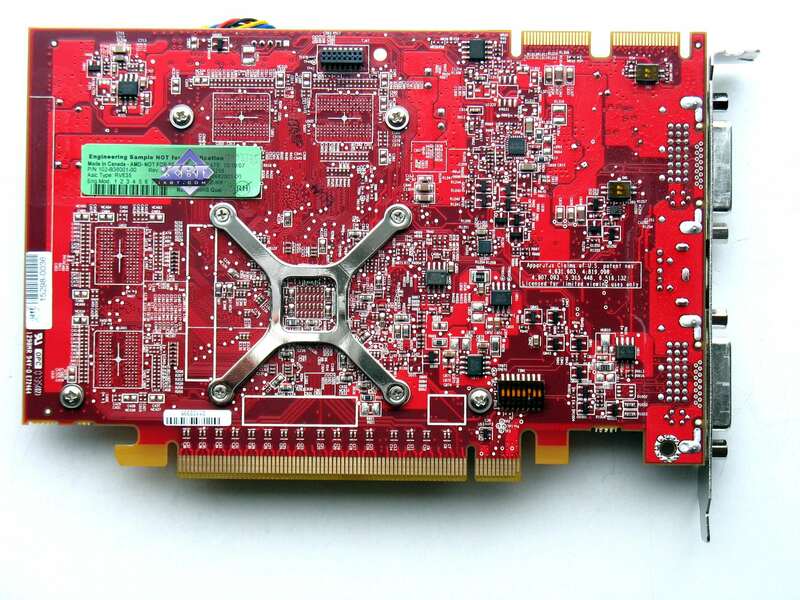 What concerns all new cards of the 3650 family, they are also of the reference design, which is slightly different from the older 2600 PRO cards. 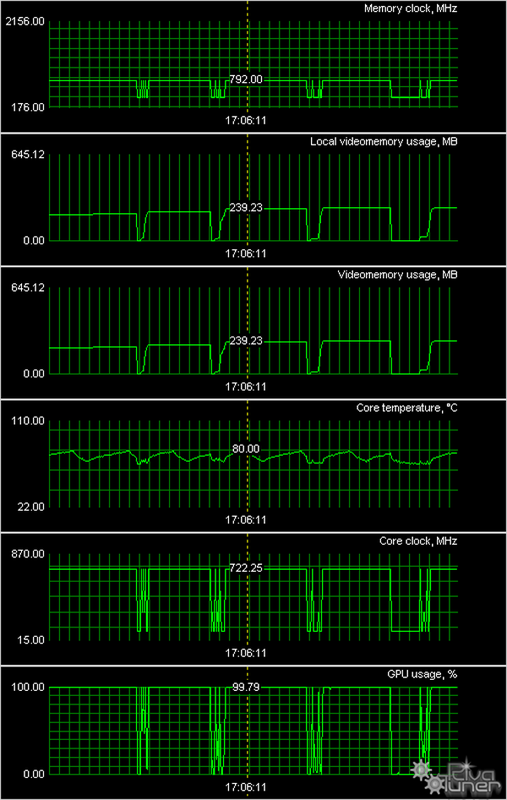 However, these differences have to do only with memory chips rotated by 90B° and some minor changes in the power unit. 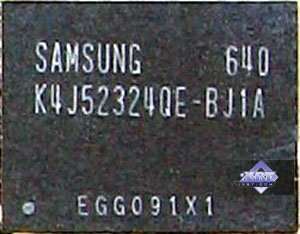 All cards have TV-Out with a unique jack. You will need a special bundled adapter to output video to a TV-set via S-Video or RCA. You can read about the TV-Out in more detail here. 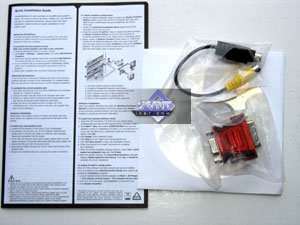 All 38xx cards require additional power supply, so each card is bundled with an adapter from molex to 6-pin, even though all modern PSUs are equipped with these cables. 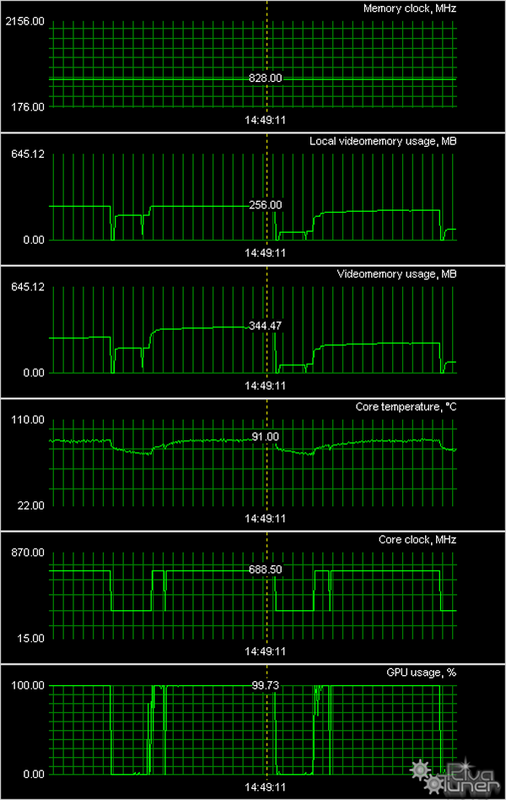 Now about the cooling systems. 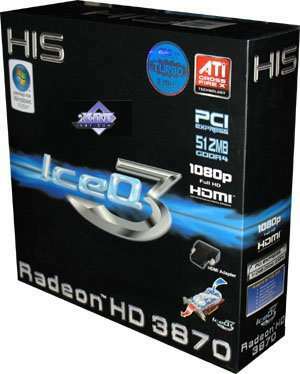 HIS IceQ III RADEON HD 3870 Turbo 512MB PCI-E and HIS IceQ RADEON HD 3650 Turbo 512MB PCI-E are equipped with the well-known coolers from Arctic Cooling. We've examined them in this review. I can only add that they are the most efficient cooling systems of all we've ever seen. 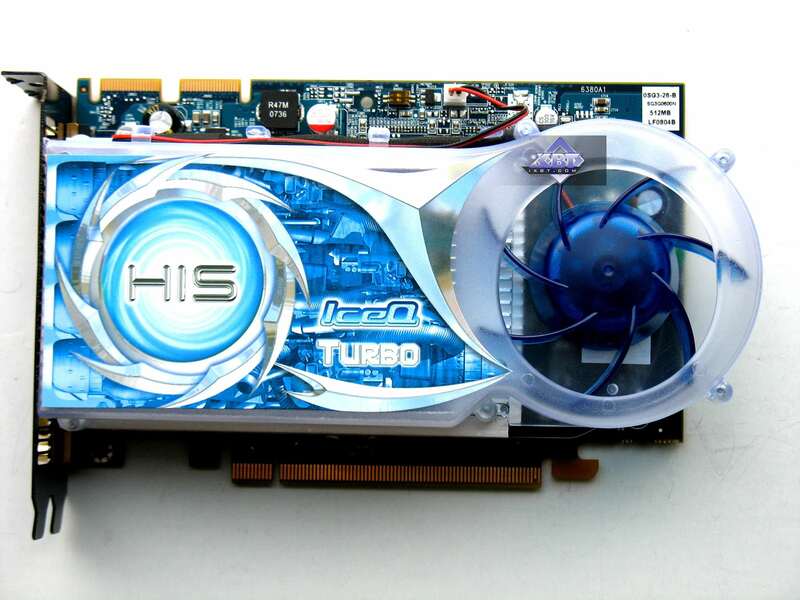 The MSI card comes with the standard cooler, we've also examined it here. 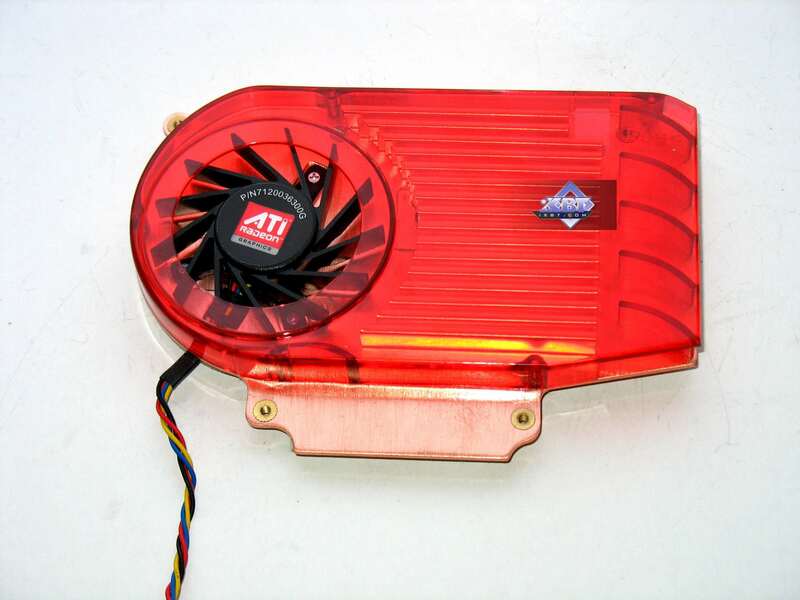 It's an efficient and noiseless cooler, but you should monitor its fan speed (it may be too low sometimes, and the card may grow very hot). 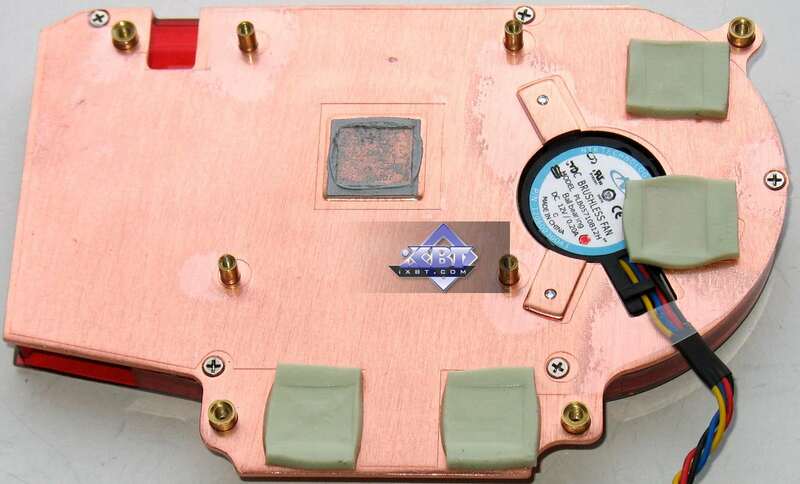 It's essentially the old standard cooler: a fan in the center of the GPU heat sink. This cooler is very efficient, it's bulky even for this card. There is no noise, because low fan speed is sufficient for cooling. 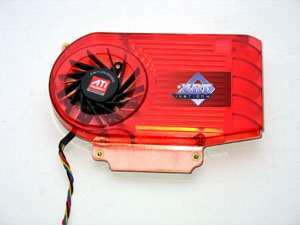 What concerns the reference card, AMD is true to its traditions to use a thin closed heat sink with a turbine to pump air through it. 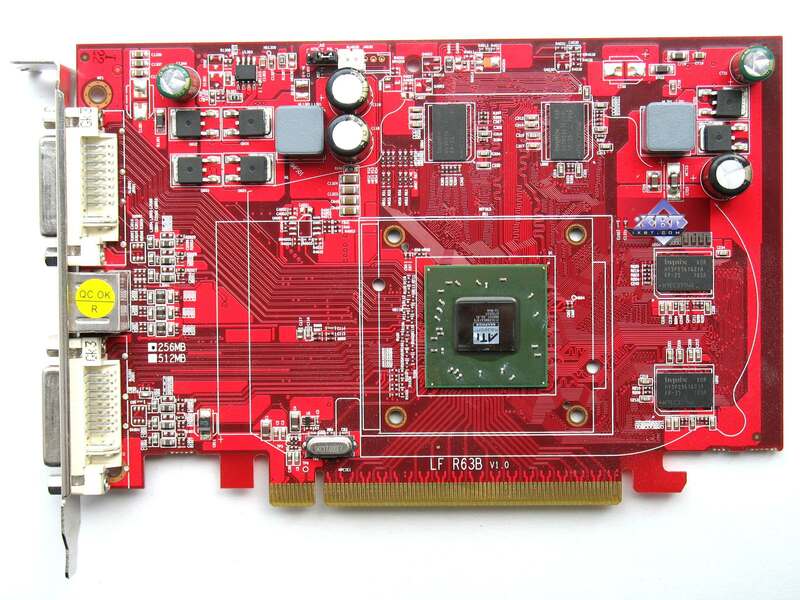 The heat sink cools the GPU and memory chips, as they are installed only on the front side of the PCB in the reference design. 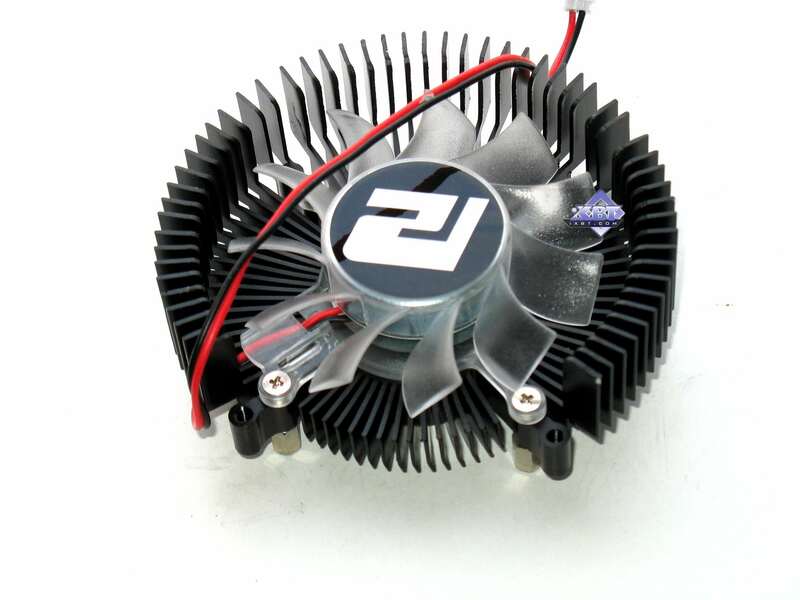 Nevertheless, fan speed is adjusted so that the cooler is practically noiseless. We can see that the cooling system from Arctic Cooling, installed on HIS cards, copes well with its task and remains noiseless. The MSI product is equipped with a reference cooler, so I have nothing new to add, you should consult this review. 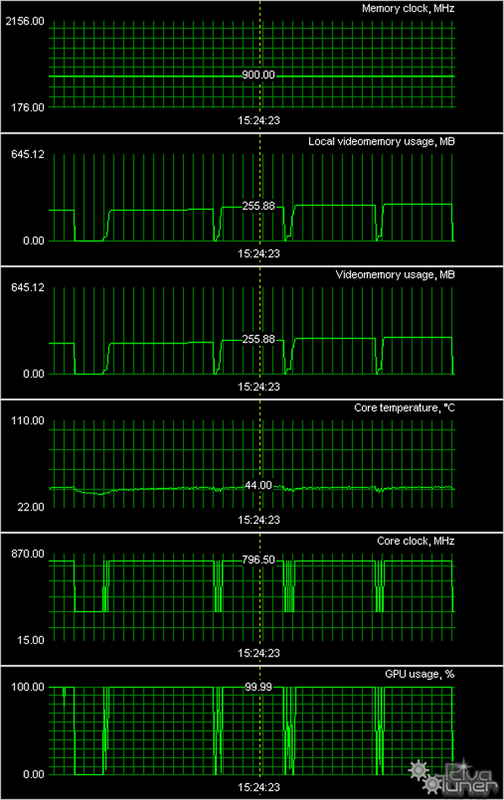 The core frequency is not raised much, so there are practically no differences in operating temperatures. 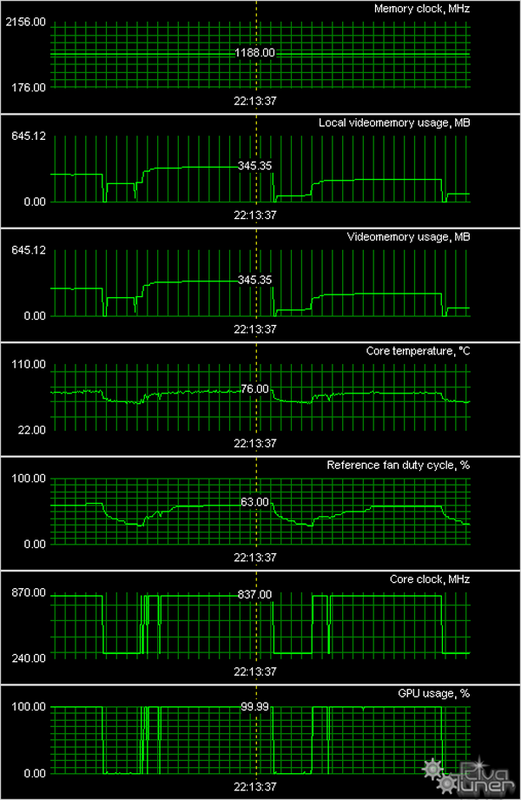 However, the reference cooler on the 3650 card demonstrates the worst results. It was to be expected from such a device. 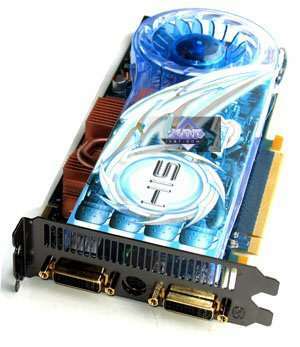 On the contrary, the cooler from PowerColor demonstrates excellent efficiency, even though the card operates at the increased frequencies. 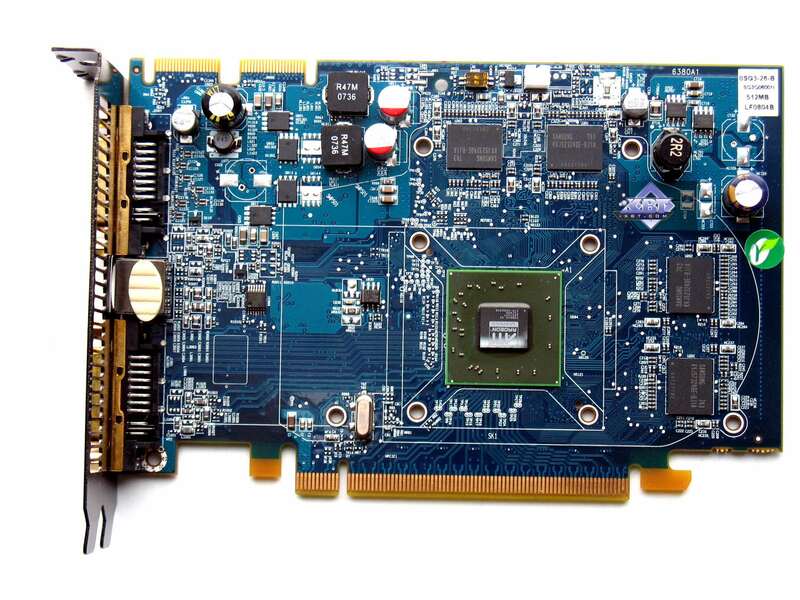 The reference card ATI RADEON HD 3650 was shipped to our testlab as OEM, without its package and bundle. 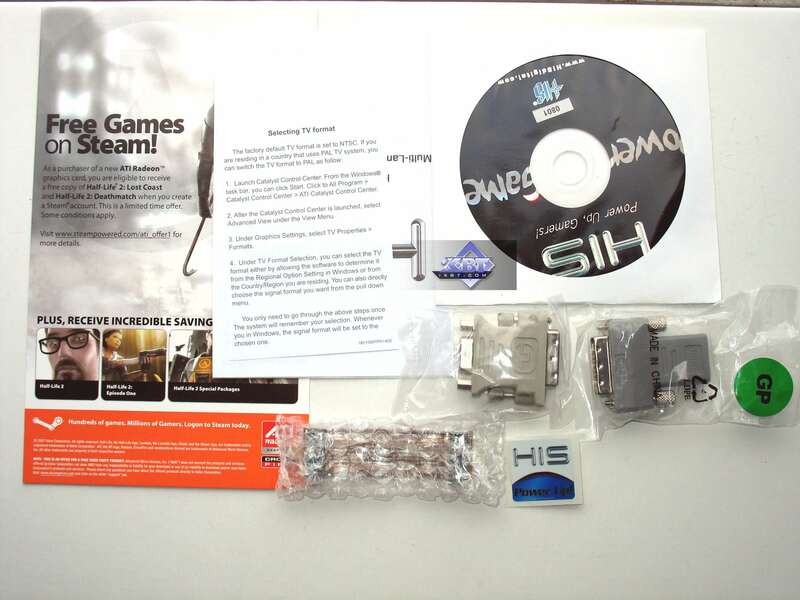 The other cards were bundled with a User Manual, CD with drivers and utilities, a DVI-to-VGA adapter, a DVI-to-HMDI adapter, a component output adapter (TV-Out), and a Steam coupon. That's a basic bundle. And now let's see what other accessories are added by each vendor. This bundle also includes a CrossFire bridge. 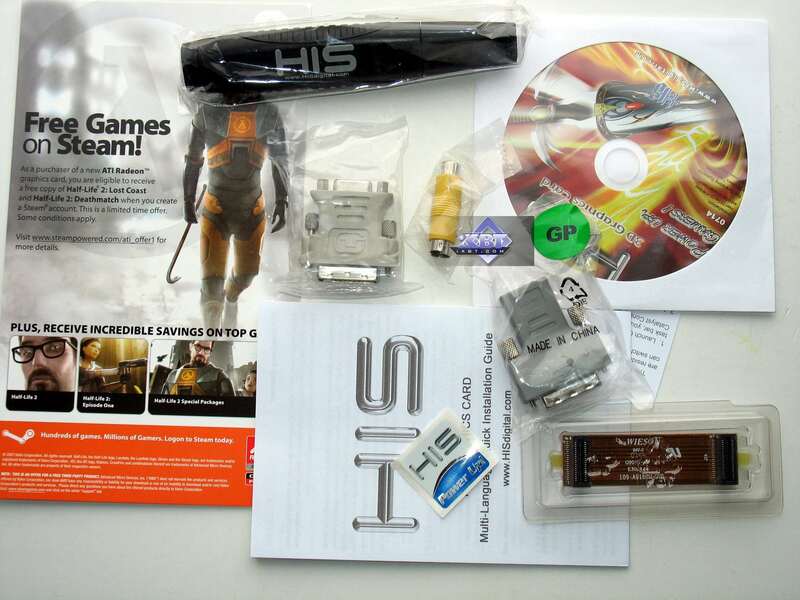 In addition to the above-mentioned basic bundle, the card comes with a screwdriver, an external power splitter, and a CrossFire bridge. 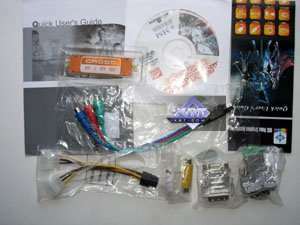 In this case, the basic bundle is supplemented with an external power splitter and a CrossFire bridge. 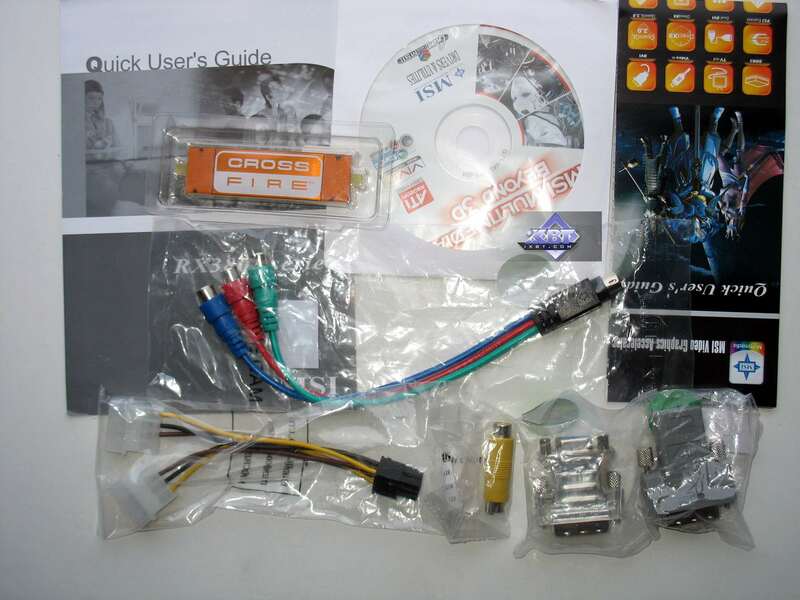 This vendor cut back the basic bundle, which now lacks DVI-to-HMDI and component output (TV-out) adapters. What a shame! It's a traditional IceQ box from HIS - a jacket with a window and a plastic box inside. The card itself is put in a separate compartment, so it won't dangle in transit. 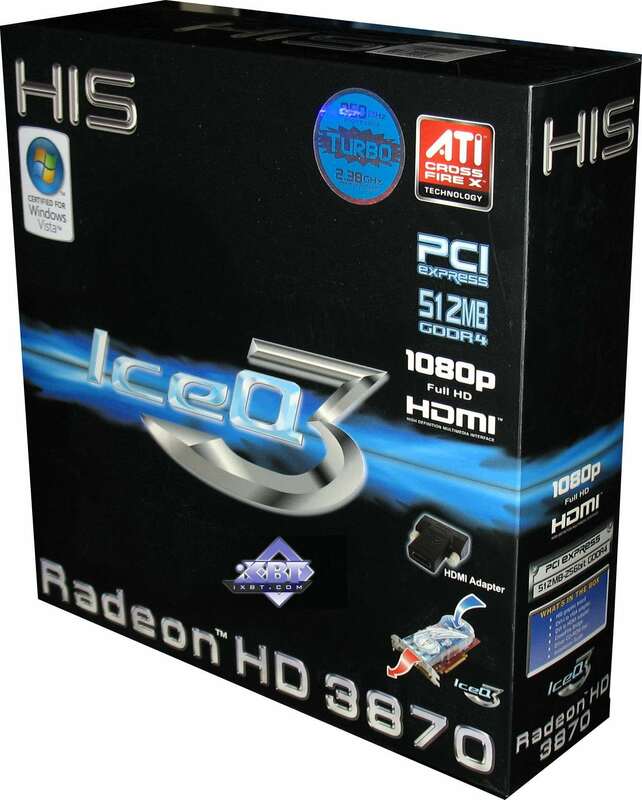 The above said also holds true for this case, the manufacturer just slightly modified the shape and design of its packages for the IceQ III series. 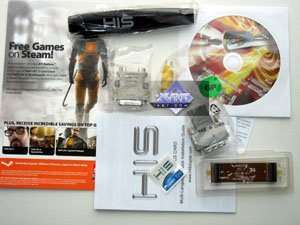 The MSI package is also traditional: a bag with a separate foamed polyurethane box for the graphics card, accessories are stored in a cardboard compartment. The card is also protected from dangling. 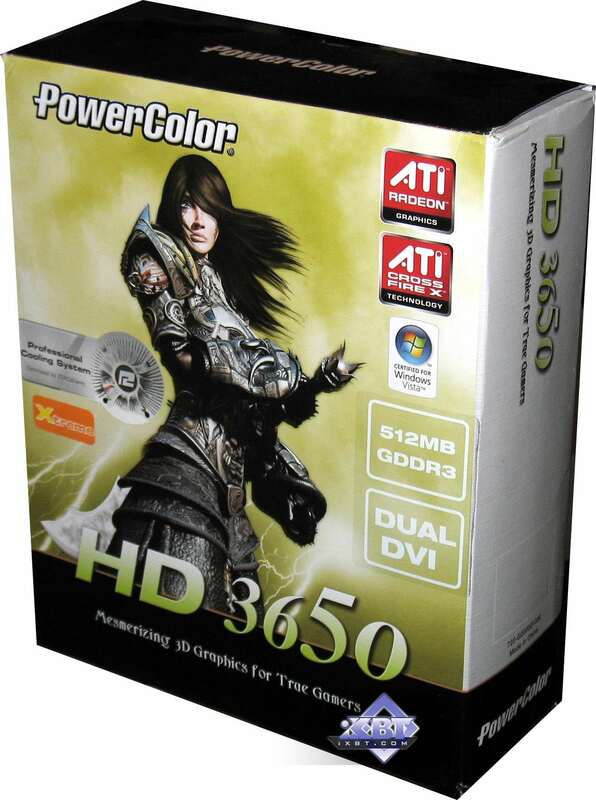 This vendor has recently changed its packages, their size depends on the price segment of a graphics card inside (High, Middle, Low). As we can see, the package is very small. The card is in a cardboard compartment inside the box. 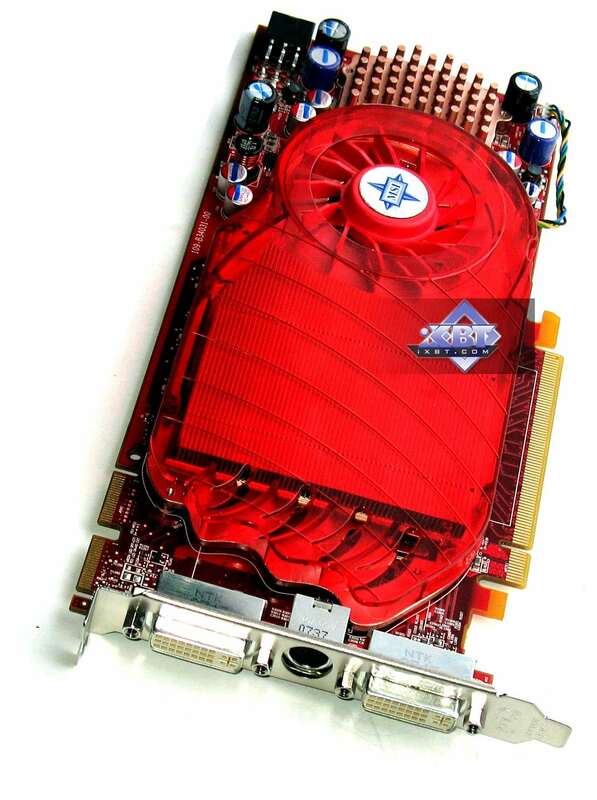 Only its high cooler holds the card and does not let it dangle in transit. In return, the box has plenty of free room (that's another reproach about the scarce bundle). Call Of Juarez (Techland/Ubisoft) - DirectX 9.0, shaders 3.0 (HDR), demo (demo). 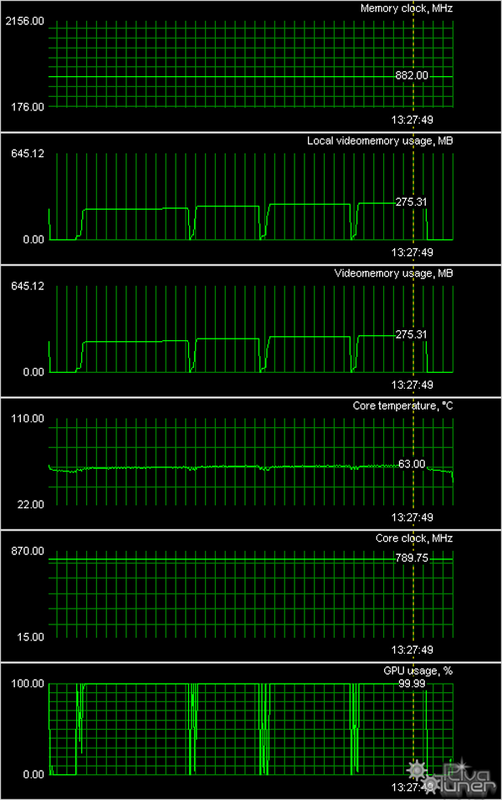 Tests were run with maximum quality settings. The batch file is included. S.T.A.L.K.E.R. 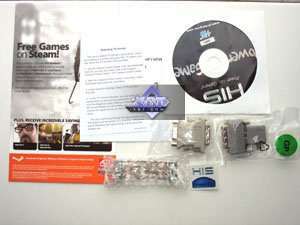 1.003 (GSC Game World/THQ) - DirectX 9.0, demo. You should unpack the files into the game folder with savegames (Documents and settings). When the game starts up, load ixbt3, open the console, and start the demo: demo_play ixbt3. Test settings - maximum (DYNAMIC LIGHTS are ENABLED). CRYSIS 1.1 (Crytek/EA), DirectX 9.0c/10.0, shaders 3.0/4.0, (batch file to start the test), test settings in MS Windows Vista - Very High (DX10), Windows XP - High (DX9), RESCUE and HARBOR levels). You can e-mail us to get the timedemo. We express our thanks to CRYTEK for writing timedemo for iXBT.com. 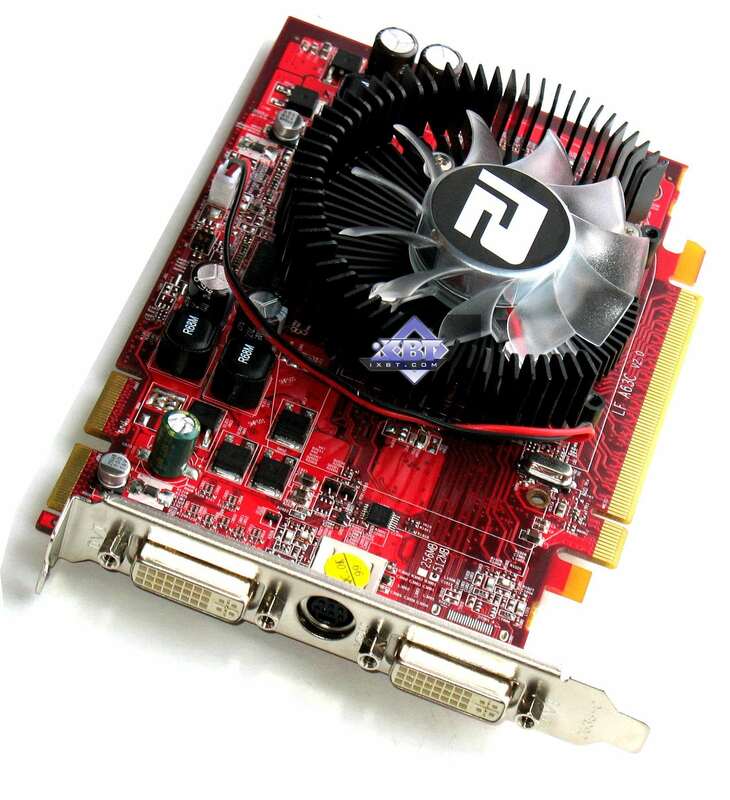 The RADEON HD 3650 expectedly performs like the RADEON HD 2600 XT, being outperformed by the latter strictly proportional to the difference in operating frequencies. 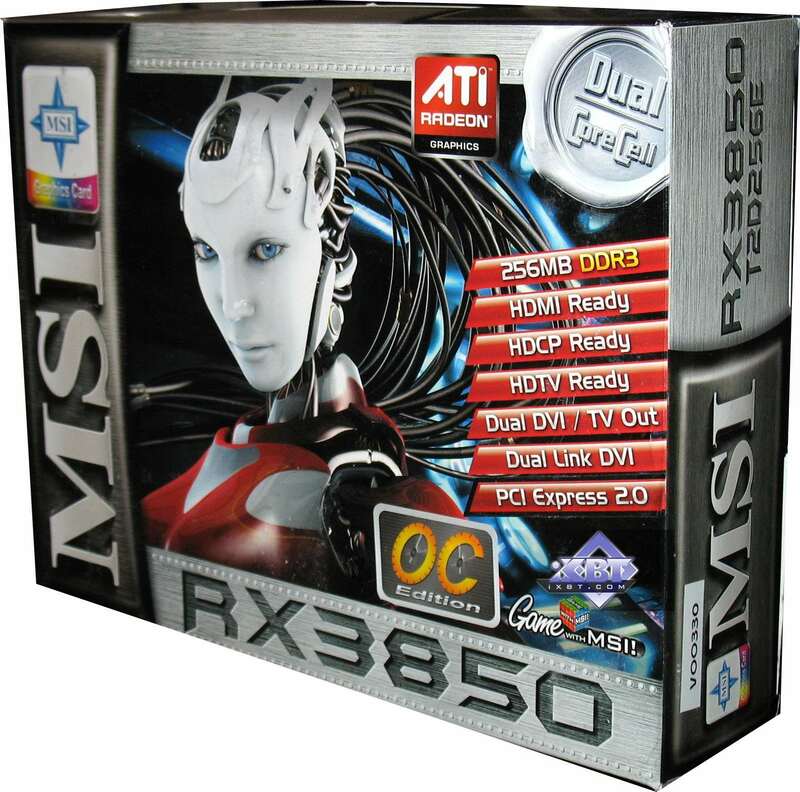 Unlike the 2600 cards, the 3650 cards now support DirectX 10.1. This feature will be praised by marketing specialists to the skies, but it will bring little to end users, because there are no such games so far. 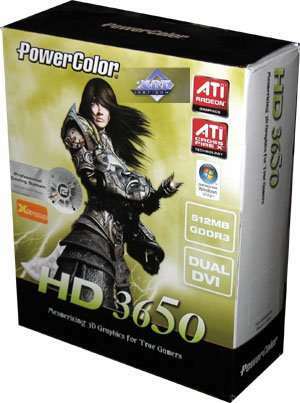 Besides, you will have to disable lots of effects to play the latest games on such cards (have a look at CRYSIS results). That is, when you buy such a card, you should not think that you can enable all bells and whistles in the latest games and play them at acceptable speed. Thus, I've proved my initial thesis that the 3650 is essentially identical to the 2600 PRO/XT. Do not get carried away with the numeral 3 in the name of the card. It's just a cunning trick, which stands for a new fabrication process, DX10.1, and improved AVIVO (we haven't tested it yet). But we should point out one important detail: price. 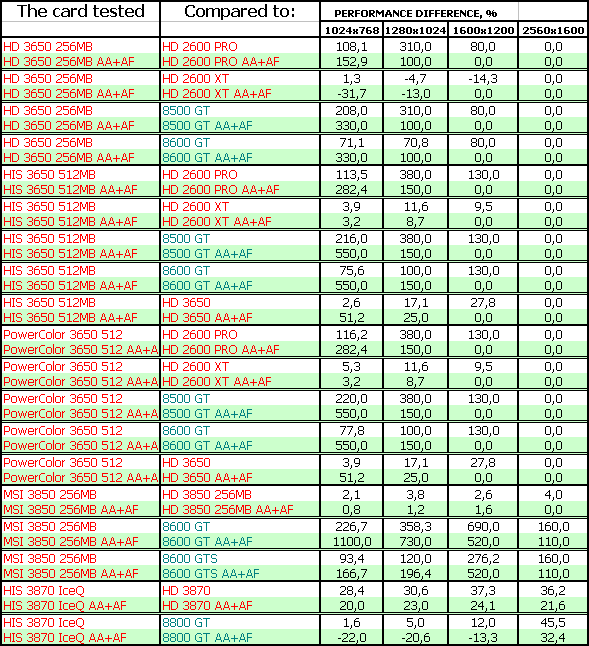 It will be lower than for the RADEON HD 2600 cards. 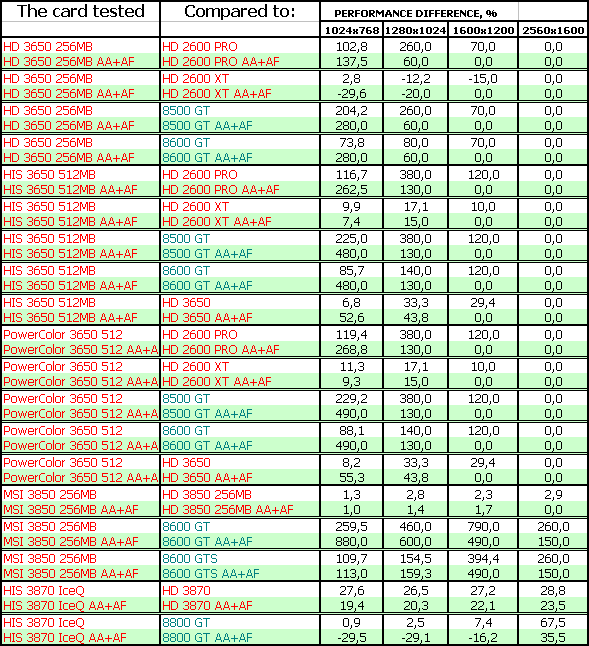 In fact, the 3650 will replace these products (the 2600 family will be discontinued). It will be about 100 USD, may be a tad higher. 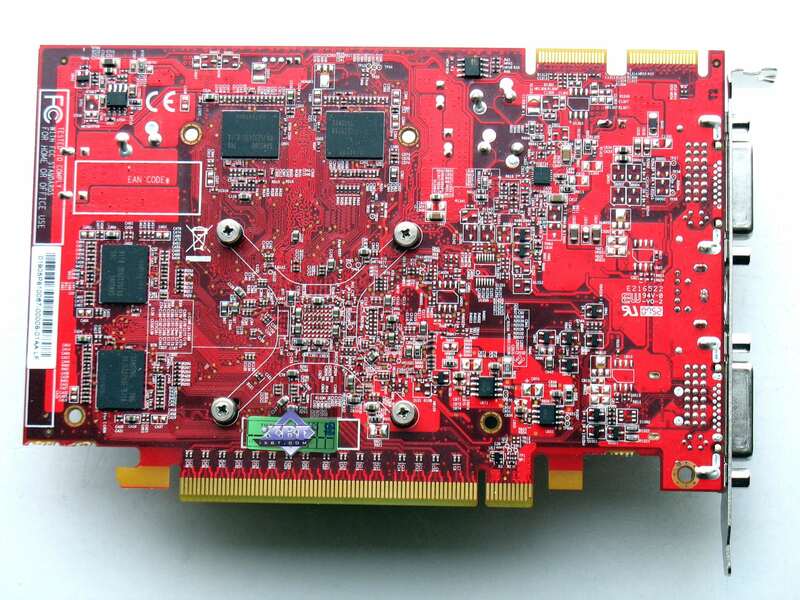 I want to draw your attention to 512 MB of video memory used in these cards. 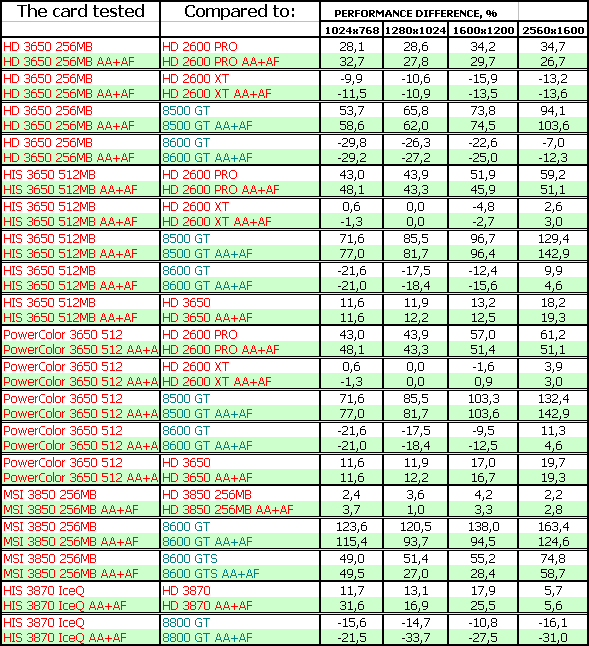 This memory volume will soon become a standard even for such cards, which performance is sufficient in modern games only in low resolutions. That will be the minimum size. 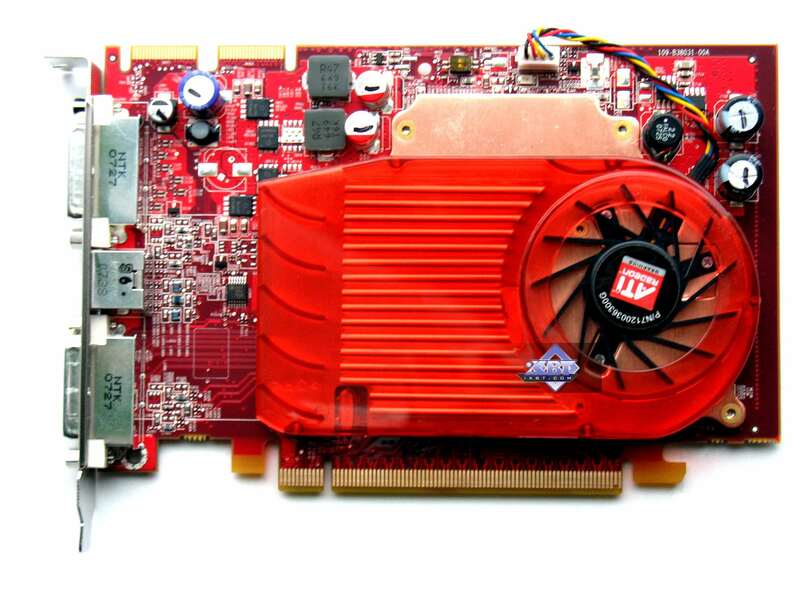 Cards with 256 MB of memory will become a thing of the past, just like 128 MB products. 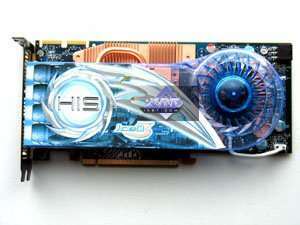 HIS IceQ RADEON HD 3650 Turbo 512MB PCI-E is an improved modification of the 3650 (in frequencies and in its cooling system). It's a good choice, if the price is adequate. And you shouldn't forget about the two-slot cooling system. HIS IceQ III RADEON HD 3870 Turbo 512MB PCI-E is actually the best 3870 card of all. 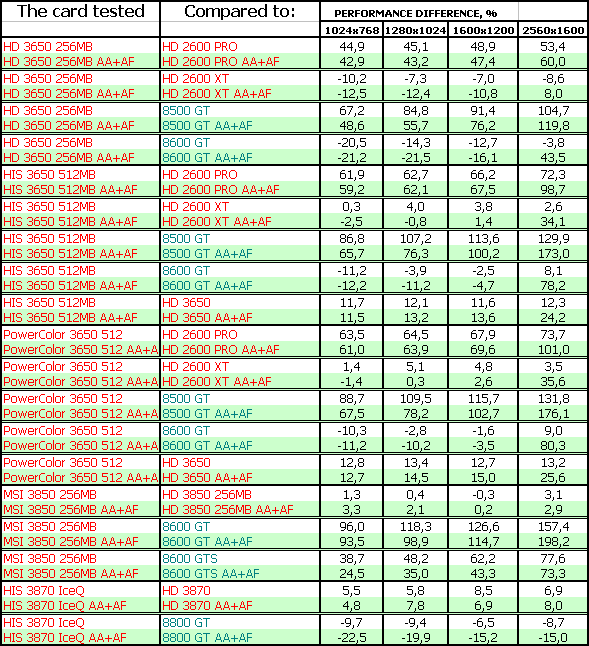 It's a tad inferior to the 8800GT, so it must be cheaper. 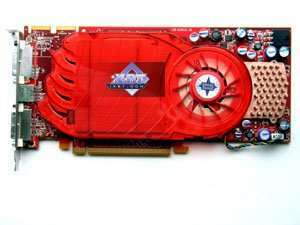 If this condition is true, it will be the best choice (but we should wait for the GeForce 9600, which may shake positions of the 3870 cards). 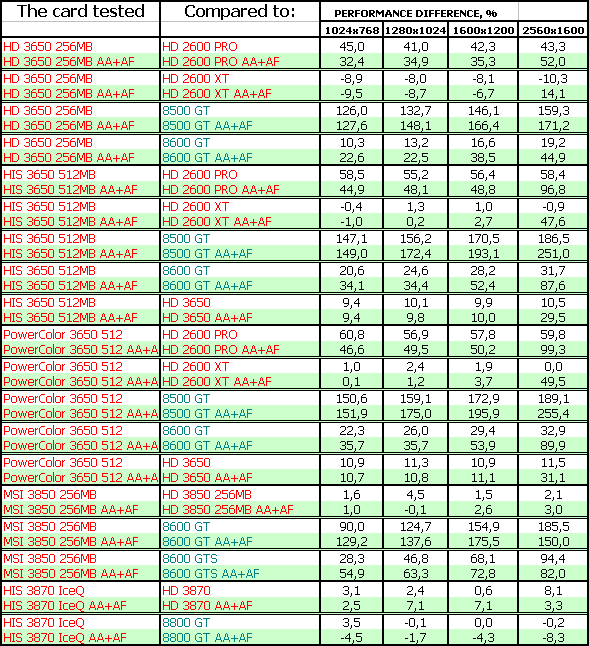 If the 3870 cards have the same prices or are more expensive than the GeForce 8800 GT, the latter will be more preferable. MSI RADEON HD 3850 OC 256MB PCI-E is the standard reference card, it's just slightly overclocked. It offers no special features and comes with a modest bundle. So you just compare the prices and choose a card. The other conclusions on the 3850 have been drawn already. 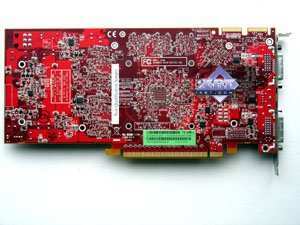 PowerColor RADEON HD 3650 Extreme 512MB PCI-E is currently the best 3650 product. 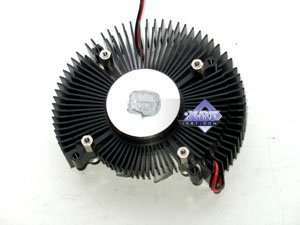 Its increased frequencies yield performance on a par with the 2600 XT, and it's equipped with a highly efficient cooler.